Hamleys has stopped selling a children’s slime toy after the product failed a safety test for boron, a chemical that can impair fertility. Tests by consumer group Which? found that Frootiputti slime, made by Goobands and sold at Hamleys, had four times the EU limit for boron in toys. The retailer said it was a “precautionary measure” while it investigated further. Which? said it had tested 13 slimes and found six broke the rules on boron. These included slimes bought from Smyths Toys Superstores and Amazon, as well as a product classified as a putty from Argos. Slime became one of 2017’s biggest crazes, with millions of people sharing pictures on Instagram and watching DIY slime-making videos on YouTube. But many of the toys use the mineral borax, which contains boron, to help create their stickiness. Over-exposure to boron can cause skin irritation, diarrhoea, vomiting and cramps. At very high levels it may also affect fertility or cause harm to unborn children in pregnant women. Examples of slimes tested by Which? The DIY Slime Kit, made by Essenson and available from Amazon, contained a purple slime that had four-and-half times the legal level of boron. HGL’s Ghostbusters slime, which can be bought in Smyths Toys Superstores, had more than three times the limit. Which? said all of the products carried CE certification, suggesting manufacturers were labelling unsafe products as safe. It also warned some slimes were being marketed as putties, allowing them to pass safety tests more easily. The EU safety limit is 300mg/kg for slime and 1200mg/kg for putty. Responding to the results one manufacturer, Jexybox, said it would take all of its slime products off Ebay. 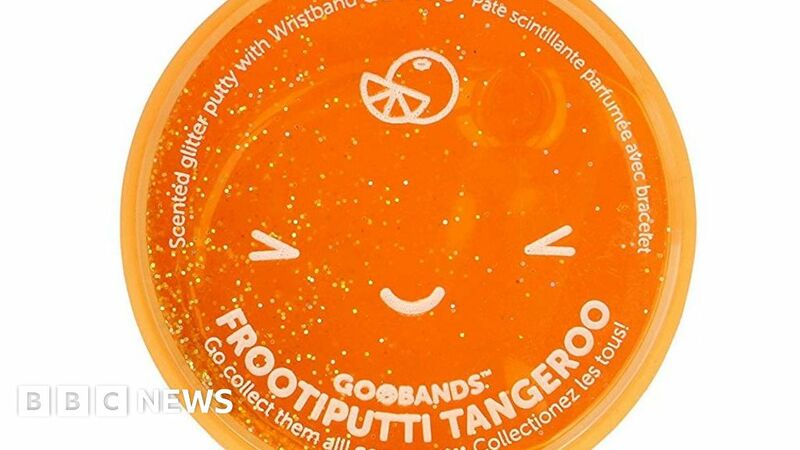 HGL and Goobands argued that their products were actually putty, not slime, and met EU safety standards. Like Hamleys, Amazon said it had stopped selling the products flagged by Which? while Argos said it was investigating the findings. Nikki Stopford, director of research and publishing at Which?, said: “Parents should have confidence that the products that they buy for their children will be safe, but our latest investigation has uncovered harmful products being sold even by big retailers.